When the time comes to upgrade your building, whether the facility in question is one used for intercollegiate athletics or a local recreation center, one of the important things to consider is when to buy lockers for replacements or additions. New lockers can add significant functionality and aesthetic appeal to any facility upgrade, and knowing when to buy lockers and install them is an important part of ensuring the process runs smoothly and increases efficiency. Many facilities today are in need of upgrading to keep services running as smoothly as possible. This can be especially important when it comes to facilities such as collegiate athletic departments, which often depend on the look and feel of their facilities to make a good impression on coveted recruits. Upgraded flooring, fresh paint and new lockers can help sway a recruit’s decision to sign a letter of intent and play for that school. During a facility upgrade, there is bound to be a lot happening, between designers ensuring that the plans have been executed effectively and contractors attaching, removing, sanding and painting. 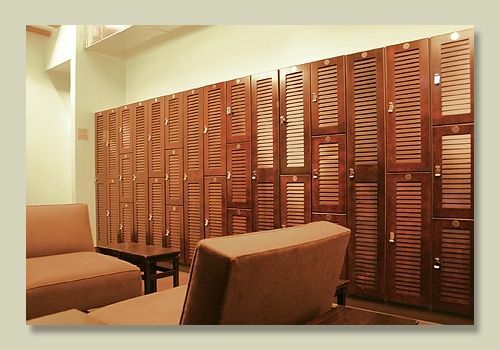 With so many things happening at once, how can you know when it is time to buy lockers that will enhance your project? In addition to planning ahead, it is very important to seek the help of a professional installer before you buy lockers for your project. Locker installation would be best done after flooring is installed. Choice of aesthetic elements and locker elements should be chosen as part of the design phase, early in the process. A facilities upgrade is bound to be one of the most exciting and fruitful events in your company’s history. Knowing exactly when to buy lockers in the upgrade process is necessary in order to ensure a successful result. Choose Legacy Lockers to buy lockers for your next facility upgrade. Visit us at www.legacylockers.com today.